Subtlety can mean the difference between a passage that works and one that falls flat. One word change, one shift in perspective, and everything's different. These can be hard to spot sometimes, which only adds to the frustration. 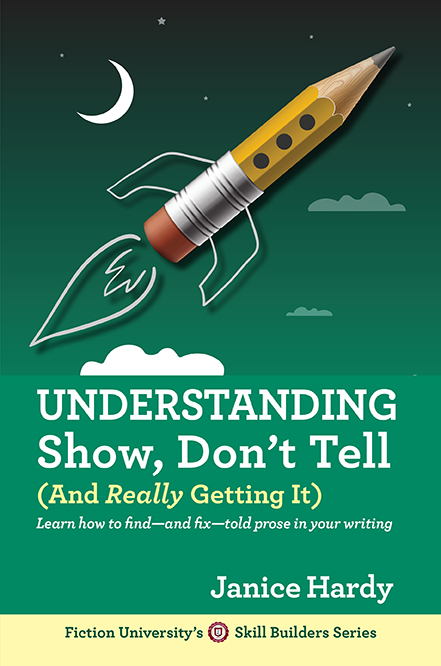 If you're struggling with a story right now, and getting good feedback, but just not quite landing the book anywhere, (or having folks tell you it's good, but not great, or lacking something they can't put their finger on) perhaps take a closer look and see if there's a subtle reason that's holding the work back. Is your premise creating the right expectation in the reader? Are you writing a romance with a mystery subplot, or a mystery with a romance subplot? Both books can look quite similar, but what one genre expects is different from the other. There might be little things you're doing that nudge it toward the wrong side and makes it feel off, even though no one can tell you why. Check your plots, structure, tone, look at the tropes of your genre and make sure you're in line with the norm for that genre. Make sure that the story you want to tell is the one actually being told on the page. Is your narrative moving the story or just explaining the story? Sometimes there's a fine line between narrative that's in your protagonist's POV and the author describing what's happening to a character. Look at how you offer information to the reader. Is it technically accurate and well written, but feels as if anyone could have said it, or does it sound like your POV character? Do they sound as if they're experiencing these events as they happen, or simply relaying them as if they were describing a movie or sporting event? Is there tension drawing readers in? Since you know how events will play out, it's easy to write a scene that shows your protagonist doing all the things they need to do to succeed in that scene. This can sometimes give the scene a sense that there's no actual opposition to the protagonist's goal. All the pieces are there, but the feeling that the antagonist is really trying isn't. You're not showing how the protagonist struggles to win, you're showing how they overcome obstacles to win. One leaves you with a sense of uncertainty (they struggle, and they might lose), the other leaves you with the sense that they're just going through the motions (here's how they overcome this problem). Are you telegraphing the text? But when she tried to run for the door, Bob stopped her. She ran for the door. Bob stopped her. Tiny change, but see how the second example feels more active and immediate? Are you stating, not showing? The tiny word "to" can do a lot to steal the sense of immediacy from a line. In most cases, "to do" something is telling the reader what a character intends to do, but doesn't actually show that character doing it. Bob stepped out on the balcony to check for zombies. Bob stepped out on the balcony and checked for zombies. In the first example, Bob doesn't act. The author is telling you Bob plans to act. The second example shows him acting. There are exceptions to this and places where "to verb" is perfectly acceptable, but "to" is a good word to check on to make sure you're not inadvertently telling when you want to show. Bob could see the zombies in the distance. Try... Bob saw the zombies in the distance. Bob was expecting zombies to come out from every corner. Try... Bob expected zombies to come out of every corner. Bob noticed the bushes behind the car were trampled. Try... Bob spotted trampled bushes behind the car. Bob watched the zombie rip George's face off. Try... The zombie ripped off George's face. Search for words and phrases that describe action and turn them into phrases that show action. Check your sentences for places where the subject of the sentence isn't the person you're talking about. This can make a sentence feel flat and passive. The footprint gave Bob the feeling that a zombie was close by. The footprint is the subject here, but the footprint isn't doing anything, so the sentence just lies there. A subtle shift to Bob as the subject, and suddenly the sentence has new life. Bob traced a finger around the footprint and shivered. A zombie was nearby. Small things can make a big difference, and we often instinctively sense when something's wrong, even if we can't say exactly what that is. Look for the subtle things in your writing and train your eyes--and ears--to pick up them and make them do what you want them to do. Has a subtle change ever made a big difference in your novel? Good stuff Janice, especially since I'm in revisions! Excellent post! You give so much information and I love it, I can never get enough! Great post! Really, you've made me think a lot about how changing little things can make a huge difference. Ooo! Nice tips! I'll have to take a closer look at my WiP later and see if the portion I'm working on is striking me as mostly "flat" due to a problem with any of these. Great post. The examples were especially helpful. But seriously, some great advice here. I really like the "telegraphing" and "stating" examples. Thanks all! Atsiko, LOL, it's not meant to make ya feel bad. Yes! This is actually the stuff I'm grappling with right now. Thank you for a wonderful post. I am writing my first book and trying to get my head around editing. I am up to Draft #2 but from what I read in your post I have a few more drafts to go! Thanks for an insightful post - I found it very helpful! How's your hand, Janice? Read you had a little run in with a hornet. Hope you're feeling ok. I am thanks :) It got me on the thigh, but luckily not very badly. I just realized these posts weren't coming straight to my email lately! Must check into that, since I can't remember to comb my hair unless I receive email reminders (I'm not that bad, but still). Thanks for the great refresher. I'm cleaning this sort of stuff up right now! Oh no! You might need to resubscribe. I've been doing some behind the scenes tweaks and one might have affected you. If so, sorry!